Having spent five years in Costa Rica, we were quite spoiled to be able to take our time and explore the country. Most working Americans don't have that luxury and can only plan for a short vacation. If you're like us, you'll want to make the most of your holidays especially in this beautiful country. 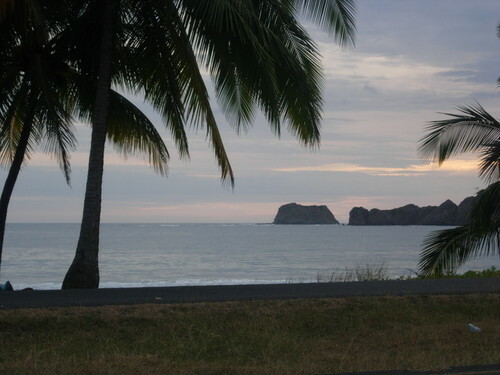 However, Costa Rica is too large and has too many beautiful attractions to see them all in a short period of time. There are stunning beaches with fantastic fishing and surfing; rain forest adventures with ziplines, horseback riding, hiking and more; multiple volcanic locations with sweeping vistas, hot springs and coffee tours; and excellent shopping and nightlife with casinos, clubs, and terrific restaurants. And if you're a nature enthusiast, the opportunities for exploration are endless. You have to be honest with yourself about how you want to spend your vacation. Do you want an action-packed adventure with lots of events and trekking? Or perhaps you're just looking to chill on a beach with a good book or two and gorge on food and drink with one of the many Costa Rica all inclusive vacation packages. In either case, there will be plenty to enjoy in Costa Rica. But if you only have 2 weeks or less to spend in Costa Rica, the idea of seeing the remote rain forest in the Osa Peninsula and also experience the Rastafarian flavor of the Caribbean is simply not realistic -- not if you want to enjoy yourself anyways. Therefore, for short trips to Costa Rica, you're better off choosing one general location to base yourself in and plan a manageable itinerary of day trips around that area. Roads can be difficult to traverse particularly at night, and planning to trek farther than 80 kilometers can eat up half-a-day or more if you get stuck behind trucks and buses. 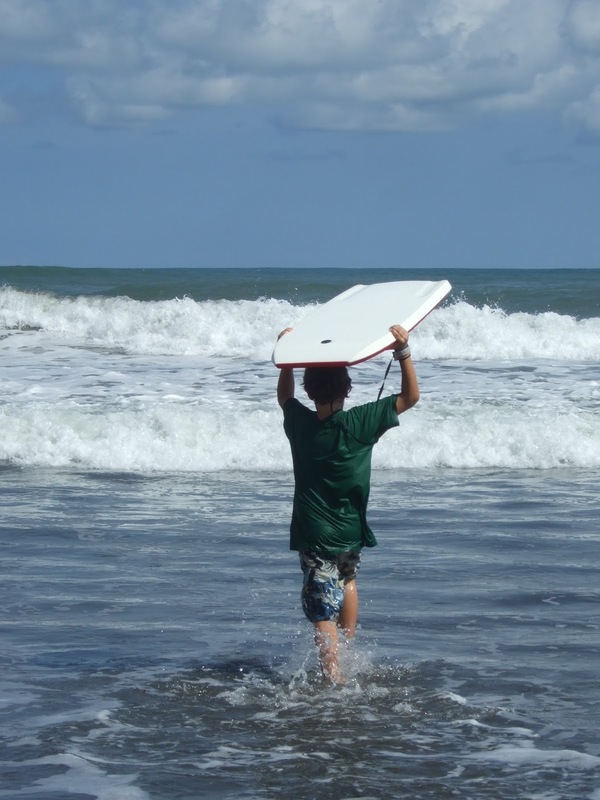 Surfing and Fishing: The best locations for surfing and deep sea fishing are the Central Pacific or Northern Pacific coasts. In the Central Pacific you'll find plenty of accommodations and restaurants in the Jaco Beach area which also includes the more secluded areas of Hermosa, Herradura, and Esterillos. In the Northern Pacific Guanacaste area, upscale Flamingo and bustling Tamarindo are your best bets. Each of these bases offers nightlife, golf and other activities, as well as day-trips to nearby eco-tourism attractions like rain forests, zip lines and hot springs. This is where you will find most of the all inclusive resorts, although there are a few scattered around the rest of the country as well. Shopping and Culture: Although anywhere in the Costa Rica will offer shopping and culture, you're better off basing yourself in the Central Valley for full saturation of great restaurants, casinos, shopping, and cultural events. Additionally, because the climate is much cooler than the beach areas, outdoor activities like golf or window shopping can be much more pleasant in the Central Valley. Escazu and San Jose have many great hotels and B&Bs that are centrally located and allow for easy day trips to Poas or Irazu volcanoes as well as numerous coffee plantation tours. Even daytrips to the Central Pacific beaches are possible from this location so it makes for a good base for those who wish to beat the beach heat, but also want to have fun in the sun for a day or two. Snorkling and Ya Man: If you're not a big surfer but still enjoy beautiful beaches with crystal clear water for snorkling, then the Caribbean is more your tempo. Since it's fairly remote in that it's roughly four hours from the main international airport, there won't be much daytripping away from this general area, but the area still offers plenty to do. The main area of Puerto Viejo offers terrific restaurants and beaches, especially Punta Uva. This location has a more Rastafarian culture where English is spoken more than Spanish, albeit with a heavy Jamaican-like accent. You'll hear Bob Marley vibrating and smell cannabis wafting out of the many cafes. Remote Nature: Nature is abundant throughout Costa Rica, but for an immersed off-the-grid experience with nature, your best bet is to station yourself in the Southern Pacific where the Osa Peninsula is. There are several eco-lodges and a few luxury accommodations in this area. Beaches are secluded but teeming with wildlife including Howler and Capuchin monkeys, scarlet macaws, sea turtles and much more. This area is a good seven hours away from the International airport so there isn't much opportunity for taking short day trips if you're only planning a quick vacation. For a happy middle ground of not being quite so remote, but also close to nature, Dominical and Manual Antonio in the Southern Pacific are nice beach towns with restaurants and other touristy attractions. Another location to consider for a great nature experience is Monteverde or Arenal Volcano areas which is also on our list for the best places in Costa Rica for kids. However, this location is somewhat close to Central Pacific beaches as well as the Central Valley allowing for a stop over between the two areas without too much wasted time on the road. Costa Rica is such a beautiful place for a vacation! I've been there a couple of times and each time was a blast. I agree, I am sure we will find our way back there at some point! Thanks for this post. Exactly what I was looking for. We are planning a visit (man, woman and 2 kids 6 and 8) from Canada. We would like to see Canopy, cloud forests , do some zip line etc. I am torn between a full 8 day Costa Rica vacation or a Nicaragua/CR vacation. can you share the top sights to see? I would personally like to see a tiny colorful frog and misty forests. I am also considering Caravan tours (8 days) , but was wondering if I did it myself wold it be cheaper? Any suggestion is appreciated.